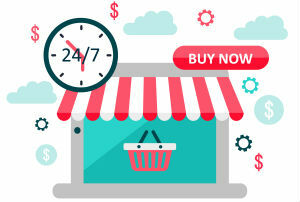 If you made up your mind to launch an online business and started this challenging task choosing an ecommerce platform for your online store then most likely you've opened Google and bogged down in a bunch of expert reviews of most popular ecommerce platforms. Many of those who have a hobby, be it art, philately, diving, scrapbooking, have a secret dream to turn their passion into an income-generating activity. Why not? If you are working a boring and routine job only to pay the bills and feed your family, the opportunity to make a living doing what you love may seem the best thing on earth. Of course, for most people the dream remains a dream since it's difficult to benefit from many hobbies. Fortunately, photography is one of the rare exceptions. Whether you belong to a type of women whose makeup bag can compete with a suitcase packed for a 2-months holiday abroad or you are a certified beautician, a cosmetic chemist, a makeup artist who has been dreaming of combining your love to makeup with your passion to make money, you’ve come to that point of how and where to sell makeup online. So, you wondered how to start your business with AliExpress. Before you will make your first step it is necessary to figure out what to buy and how to buy. The easiest way to explain how to dropship from China is by giving an example.